Requirements of the waterproofing system and drain assembly. Few years ago, shower installers had essentially one option for waterproofing showers: hot-mopping. 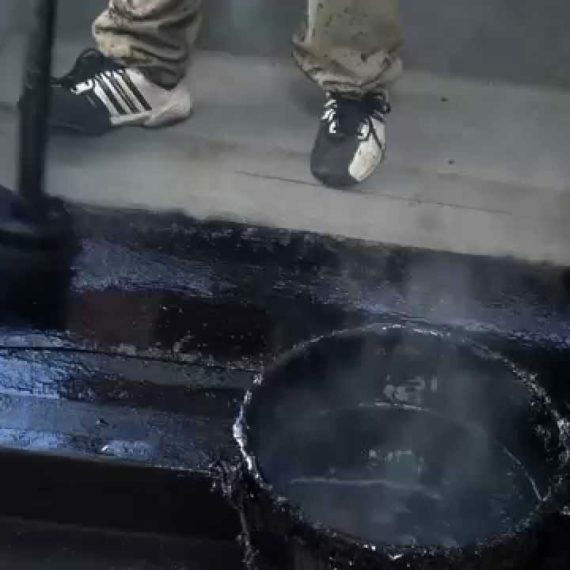 During that process, installers apply a thick layer of hot tar to the floor of a shower pan, forming a waterproof seal that prevents leaks from damaging the subfloor. While hot-mopping is still performed, today’s installer has a variety of other – less sticky – waterproofing options, including sheet, roll-on and trowel-on products. Currently, installers often place the waterproofing materials just below the surface of the tile, bonding the tile directly to the membrane. This allows water to run right off the surface and down to the drain before saturating the walls, avoiding any potential fouling spaces. No matter what waterproofing system you select, you must completely familiarize yourself with all of its elements – including the drain assembly. Not following specifications or the manufacturer’s directions can result in expensive repairs. All parts of the system are critical: from the waterproofing product itself to the drain.